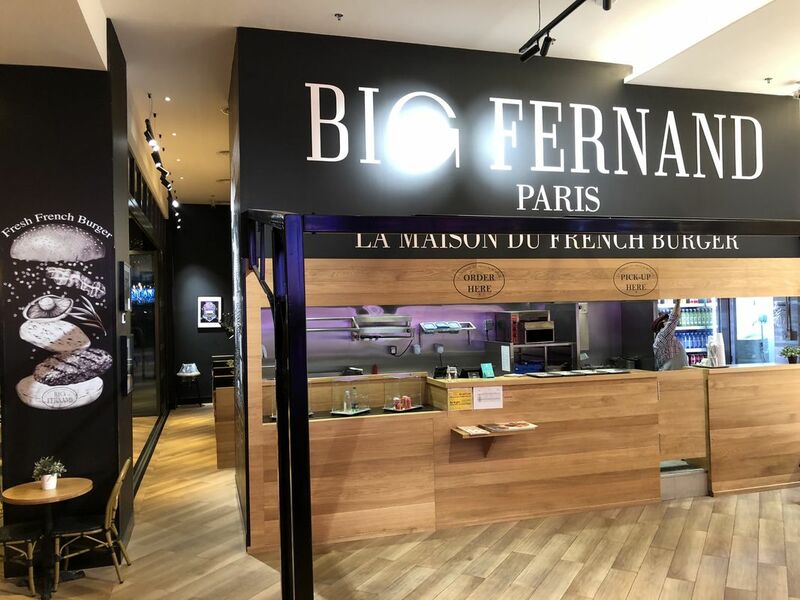 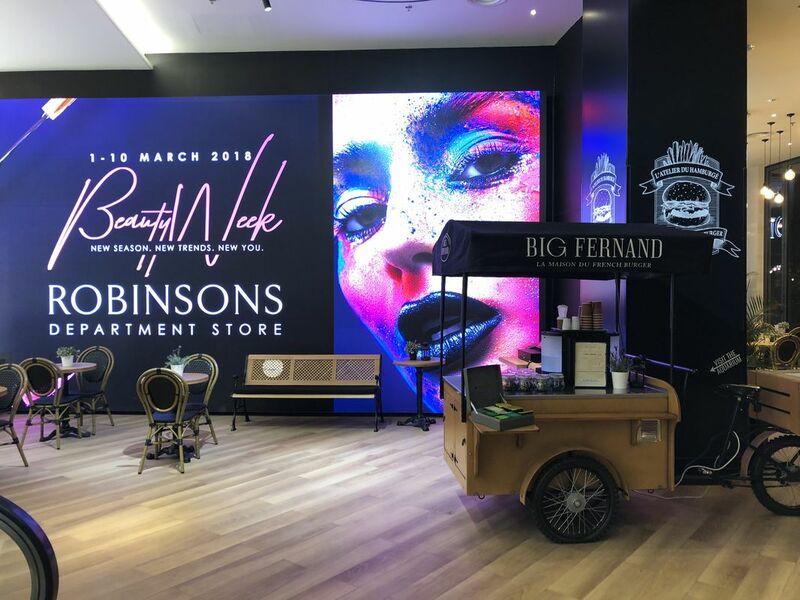 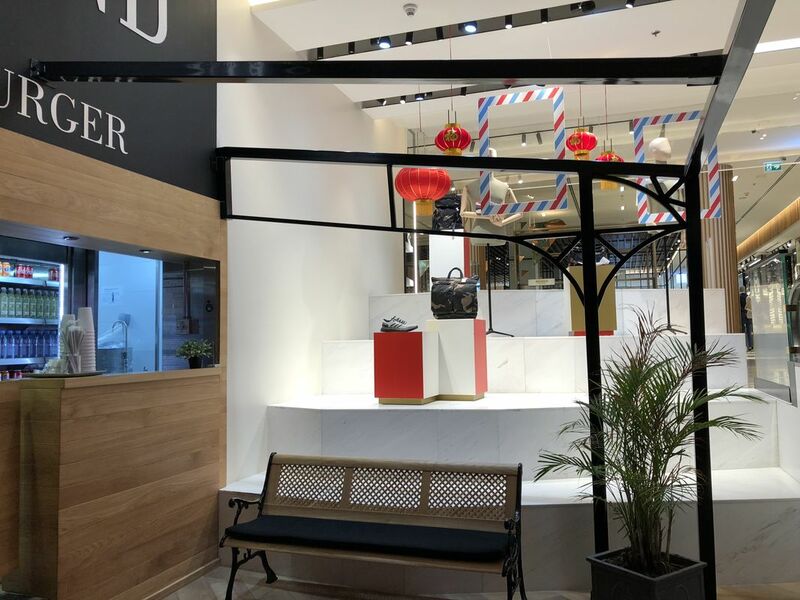 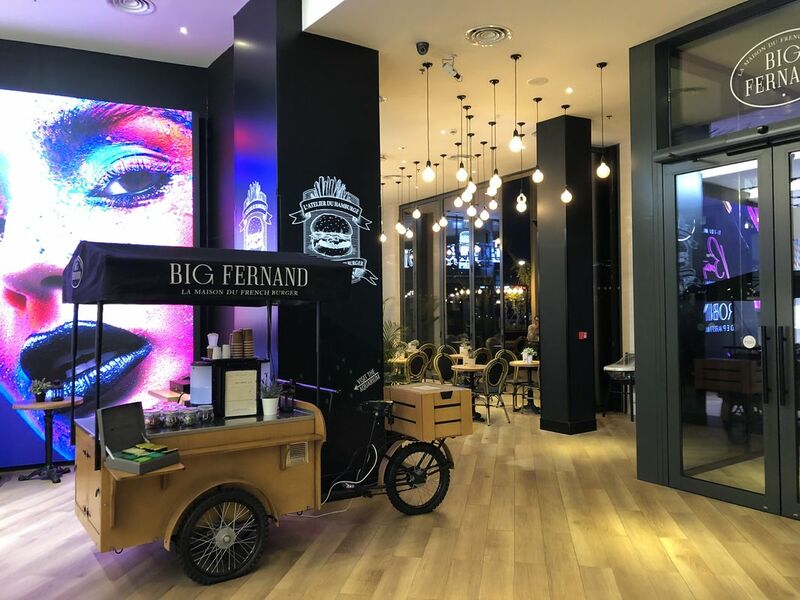 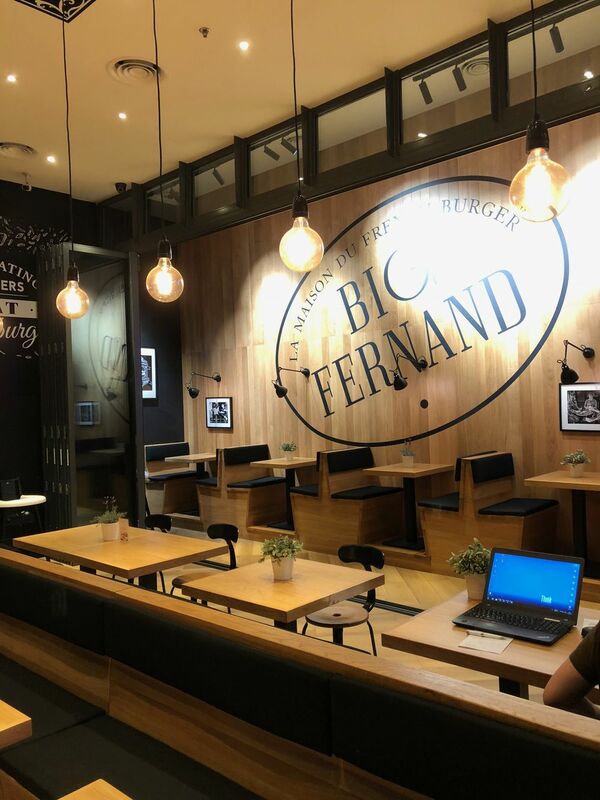 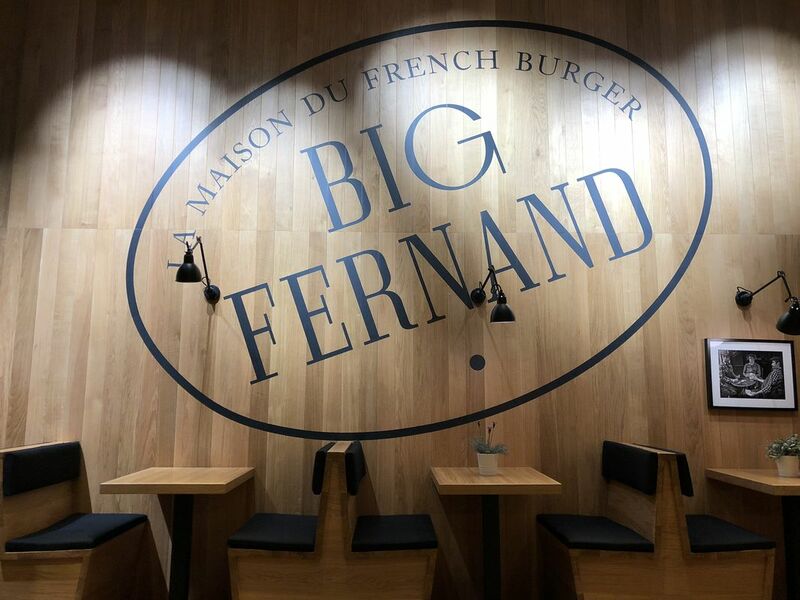 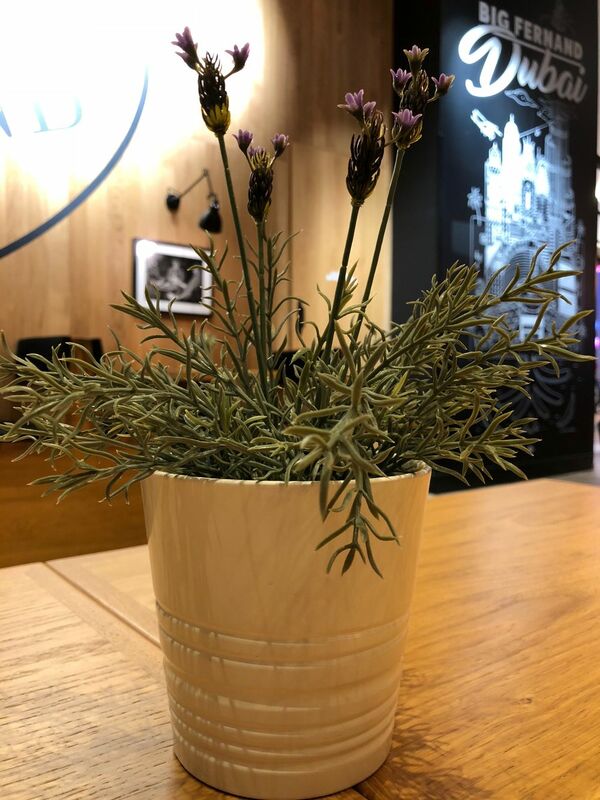 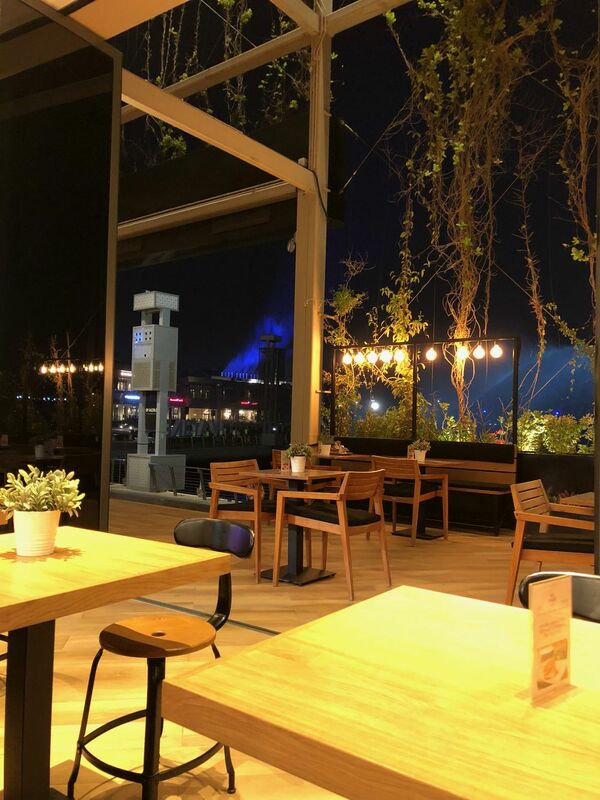 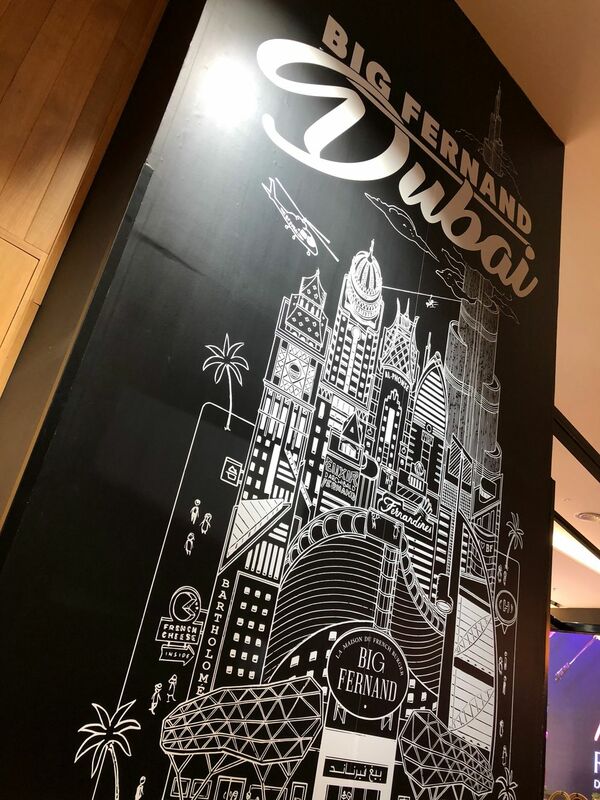 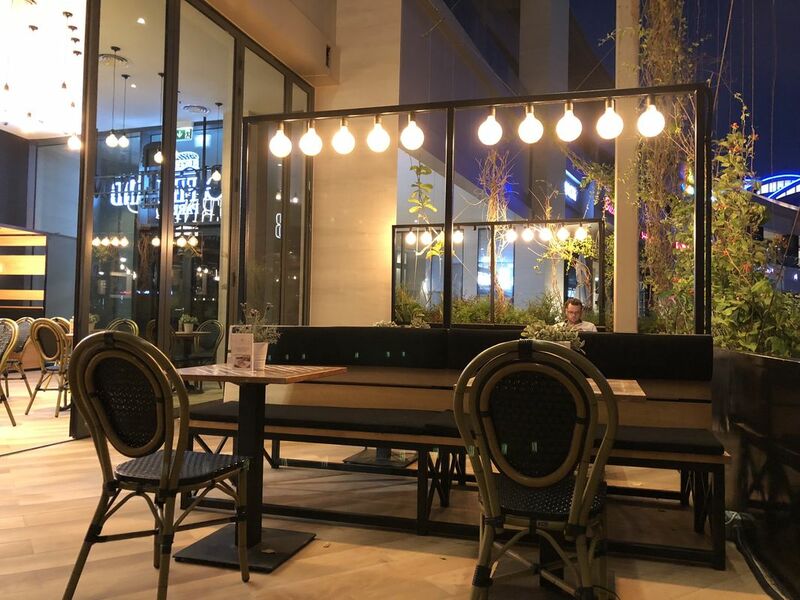 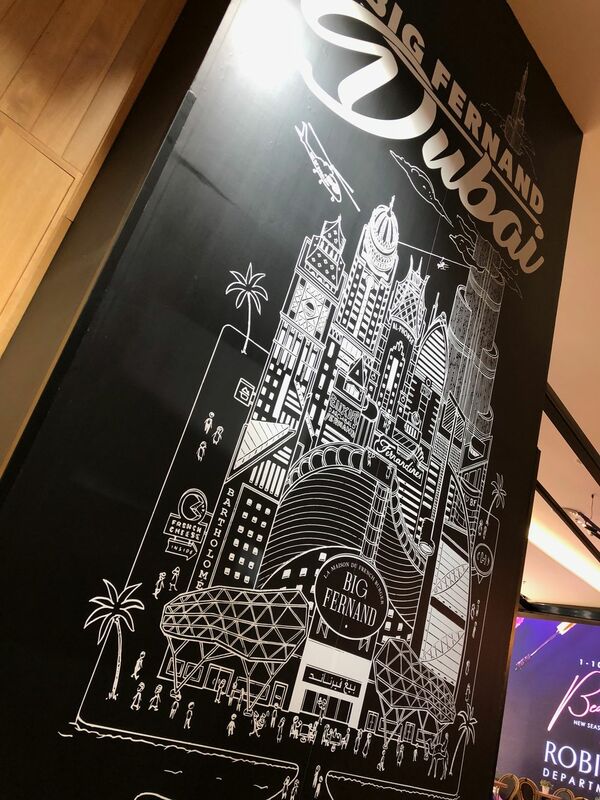 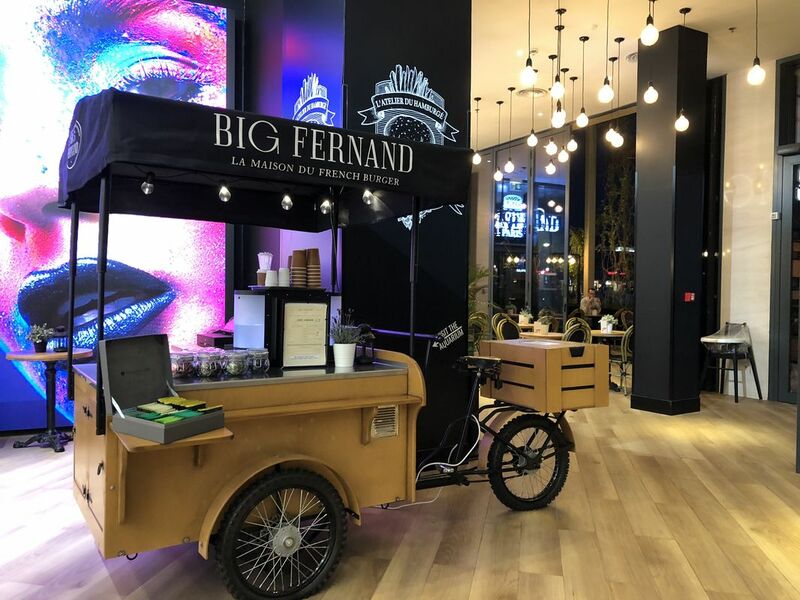 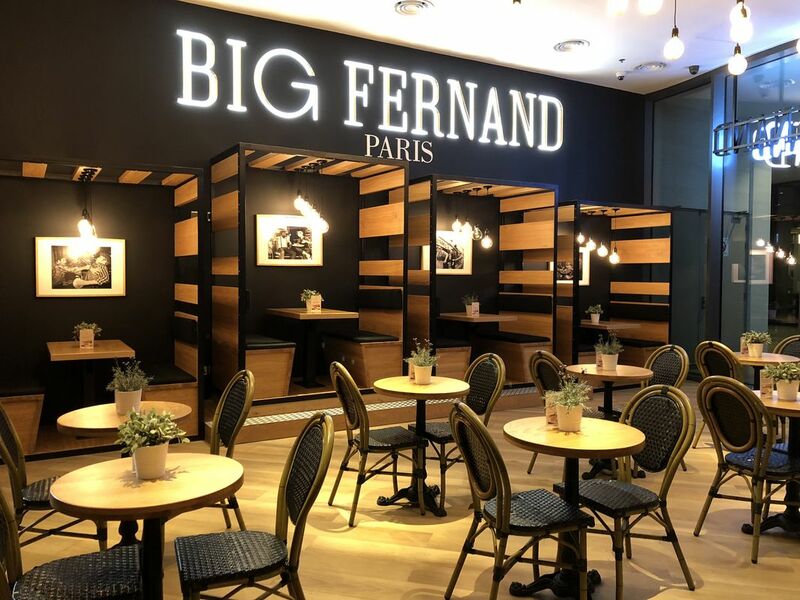 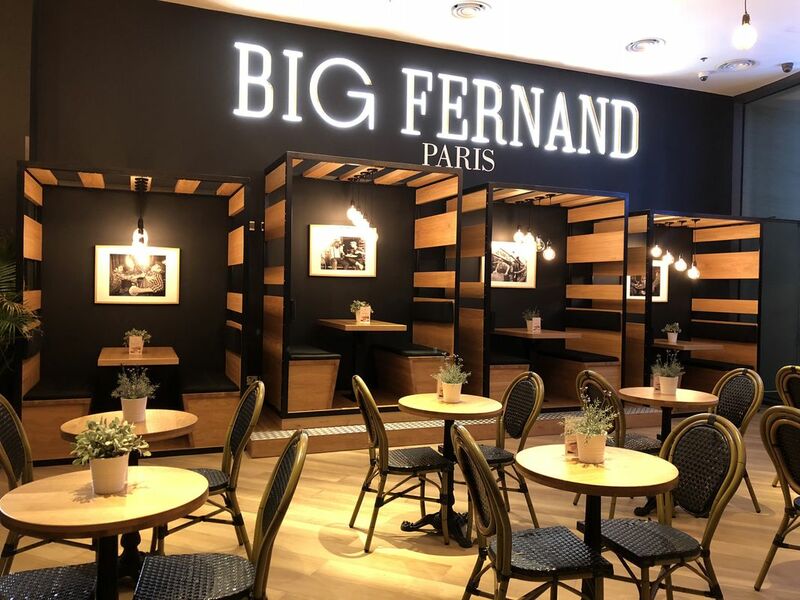 From the busy streets of Paris to the cosmopolitan city of Dubai, Big Fernand -my favorite burger in Paris opens at Dubai Festival City. 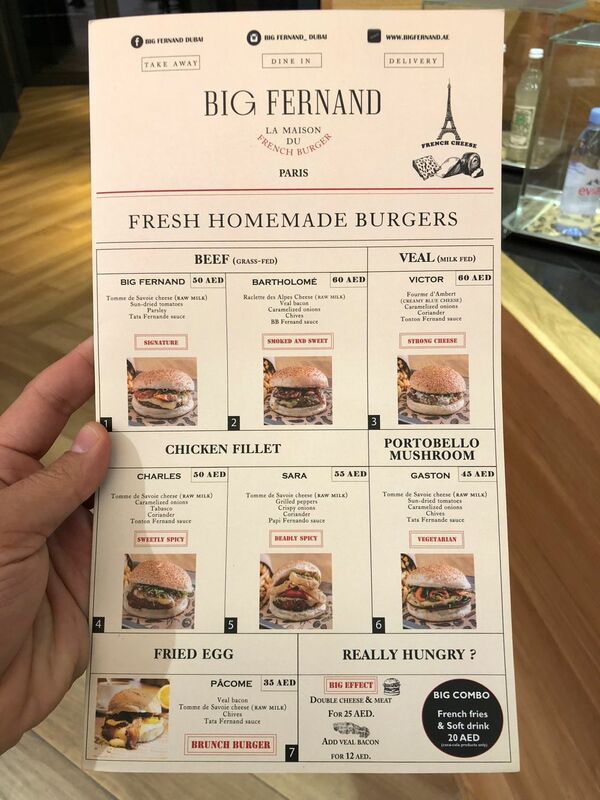 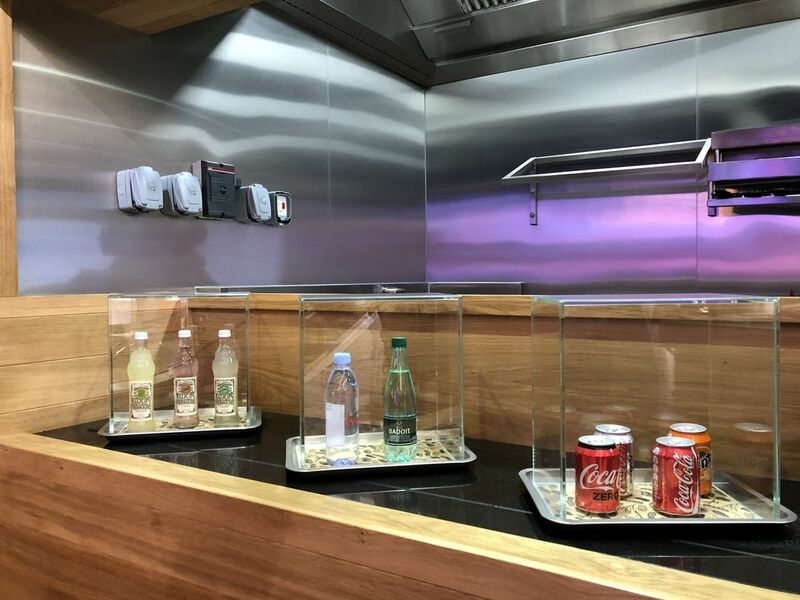 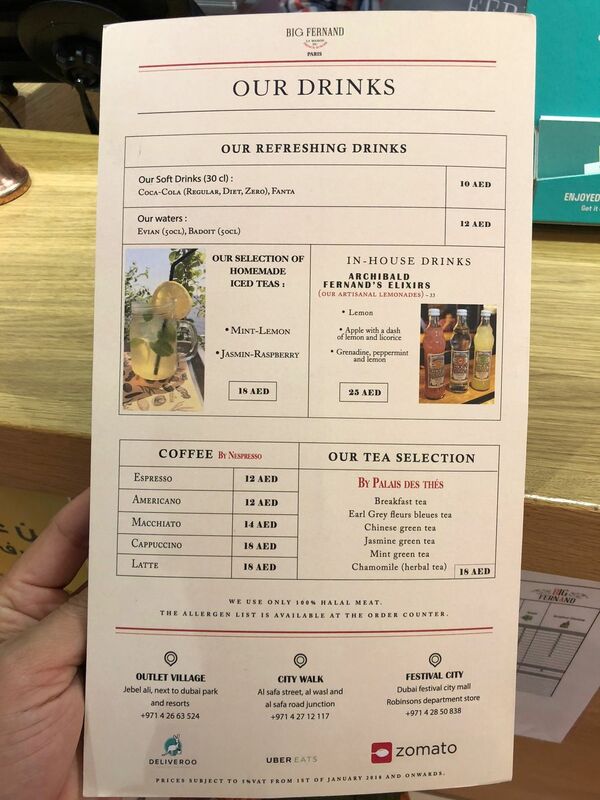 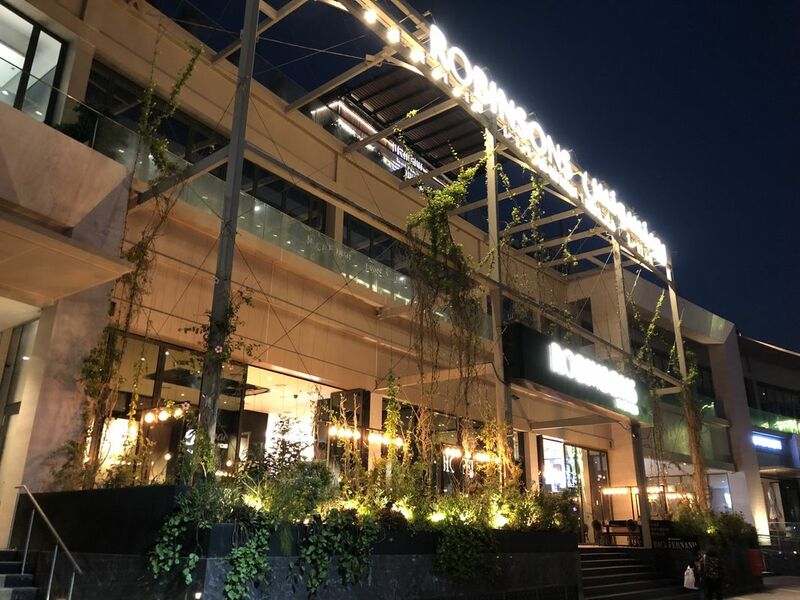 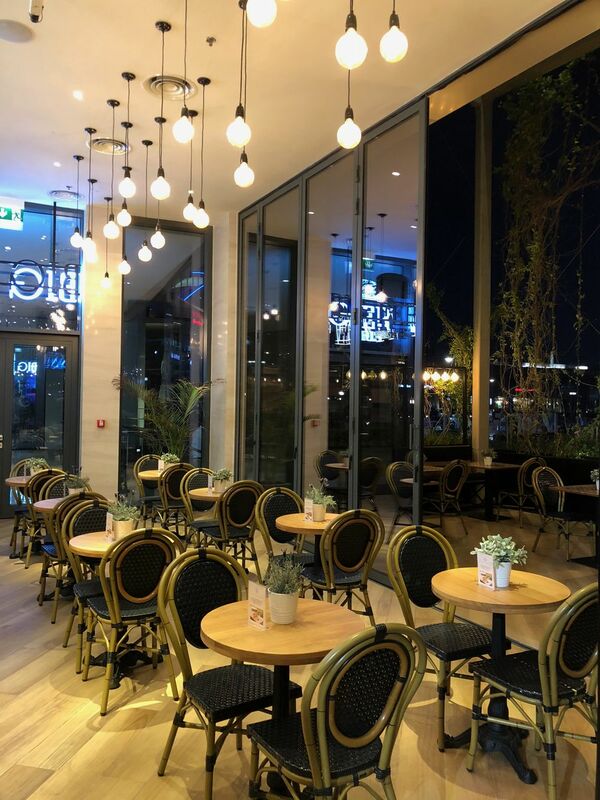 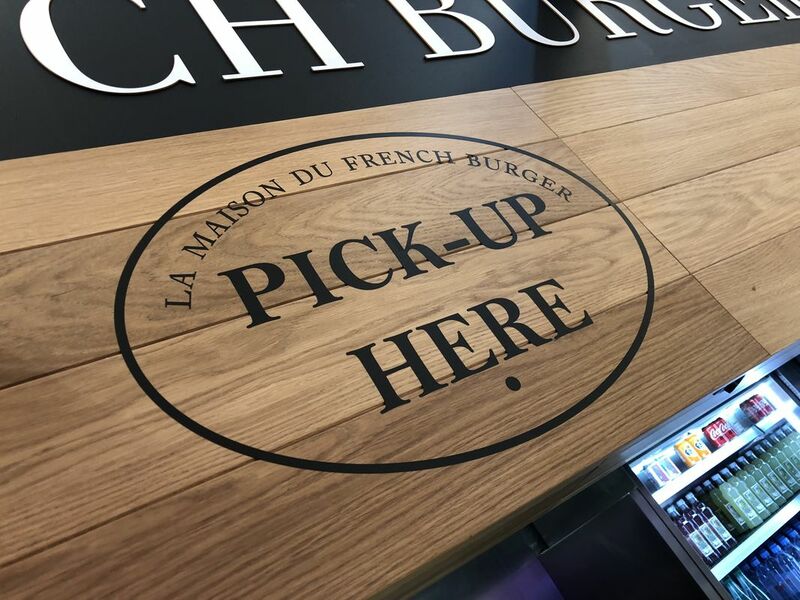 Being a fan of this famous French burger chain, I couldn’t but have a closer look and taste what the chain is proposing in Dubai. 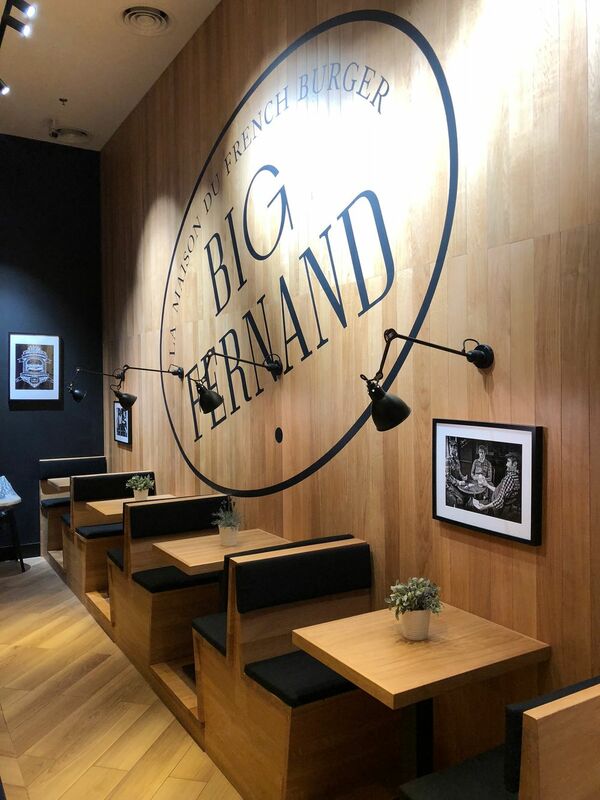 Built around wood and black textiles, the brand feels upscale and elegant. 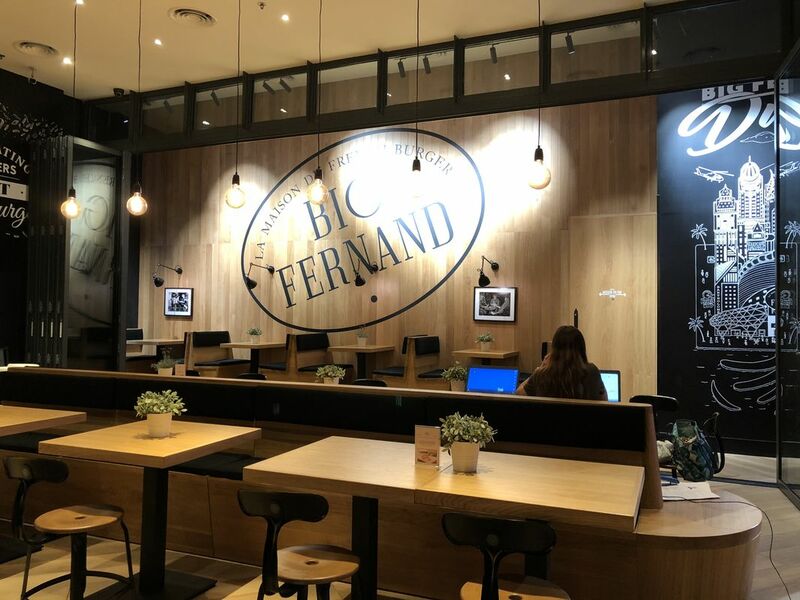 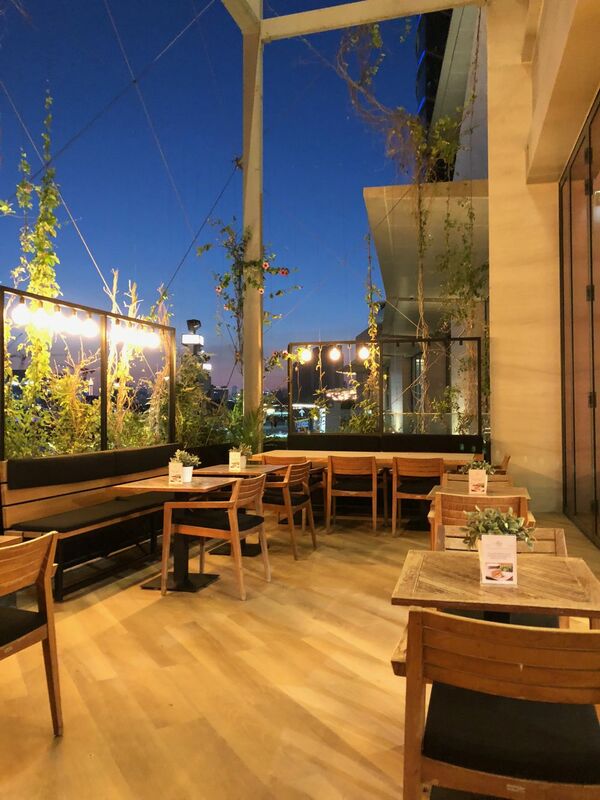 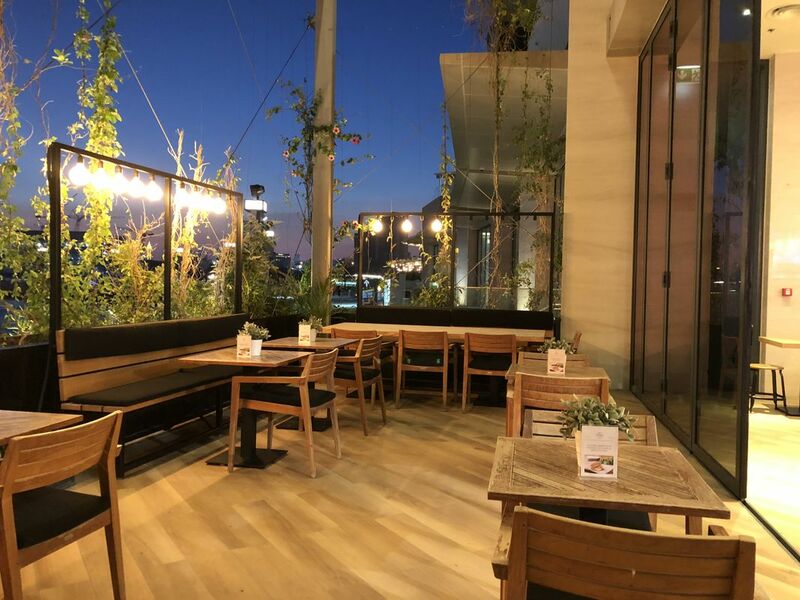 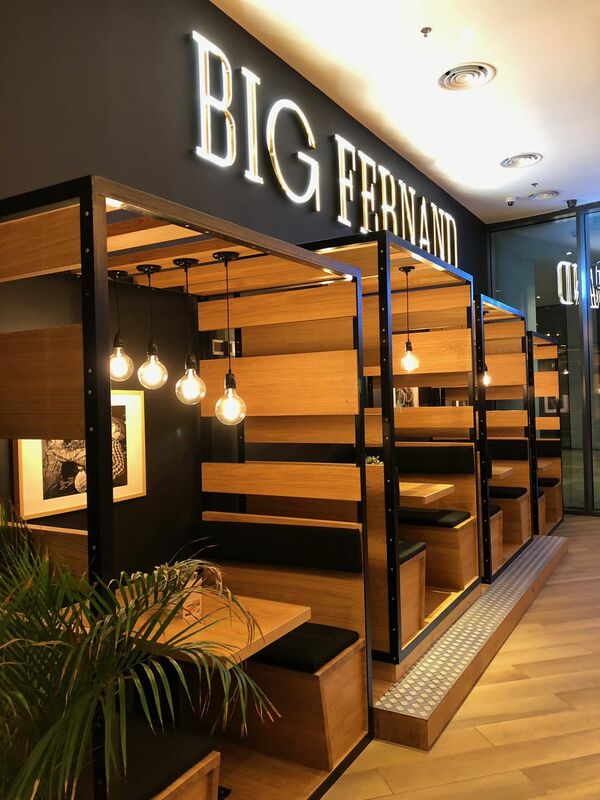 With several seating corners, two terraces, sofas, and couches, Big Fernand is much more than a fast food joint. 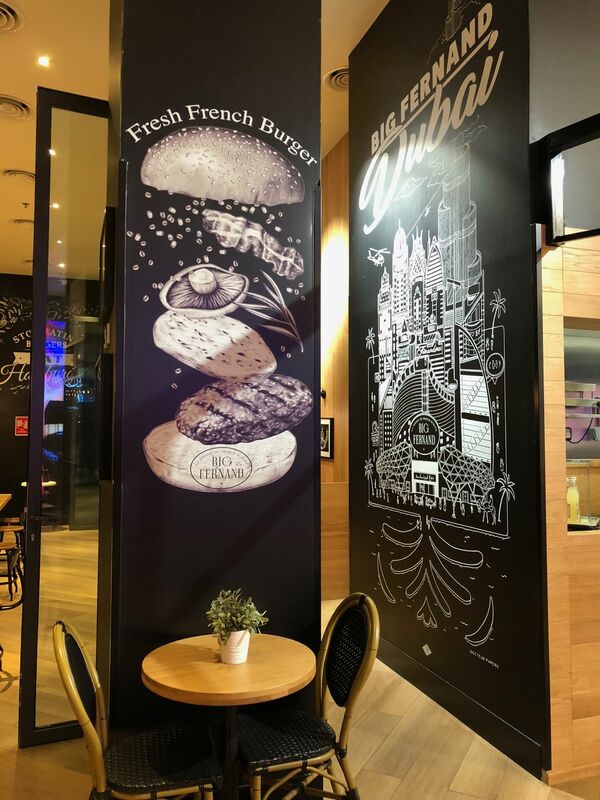 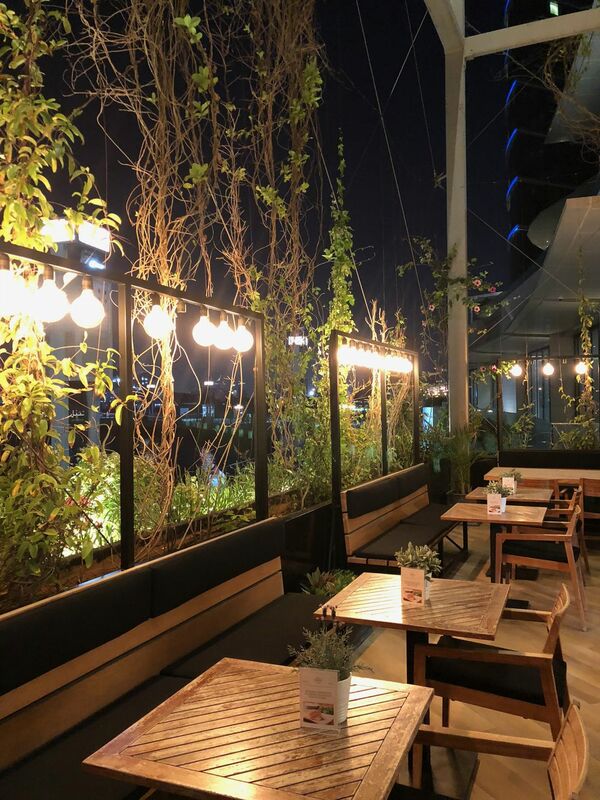 Brightly lit and decorated with style, I ordered one of each burger and sat to enjoy them. 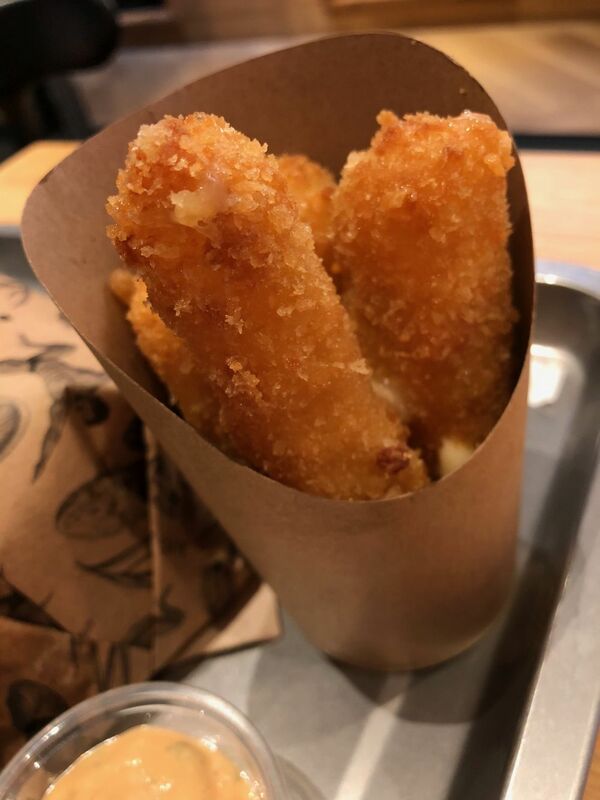 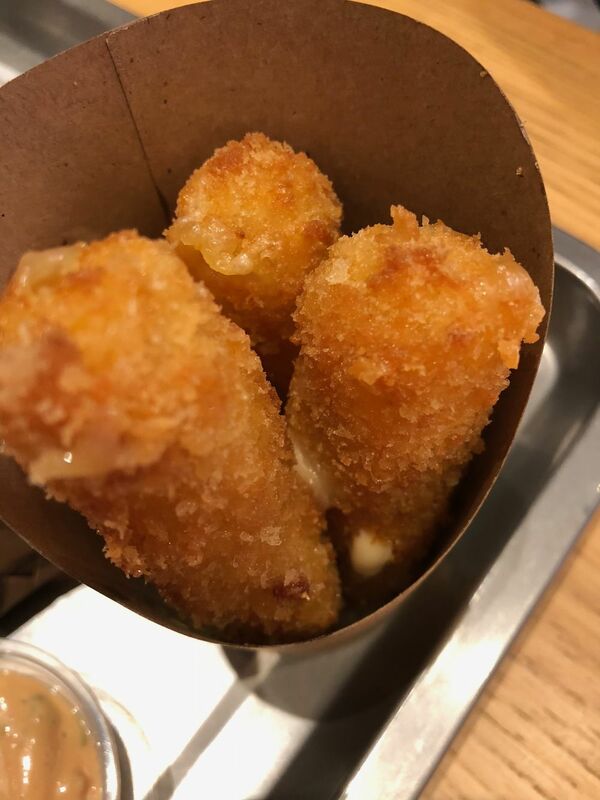 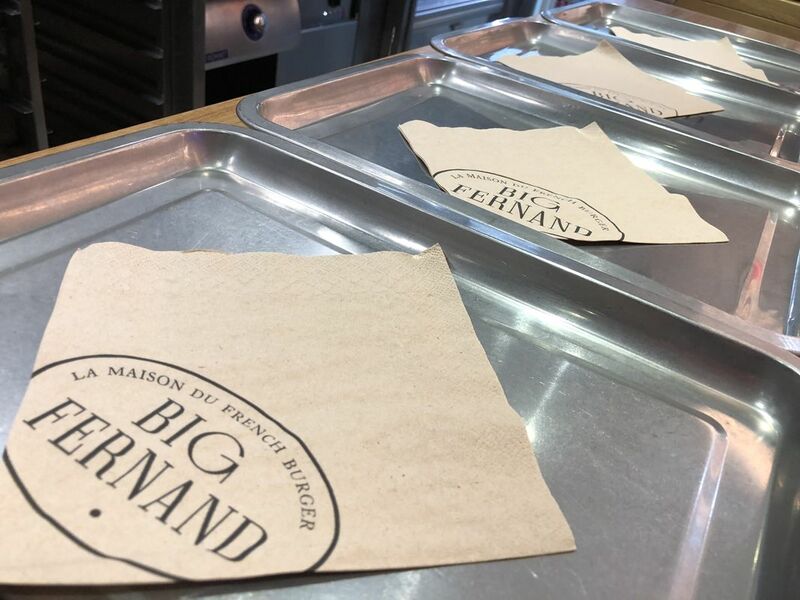 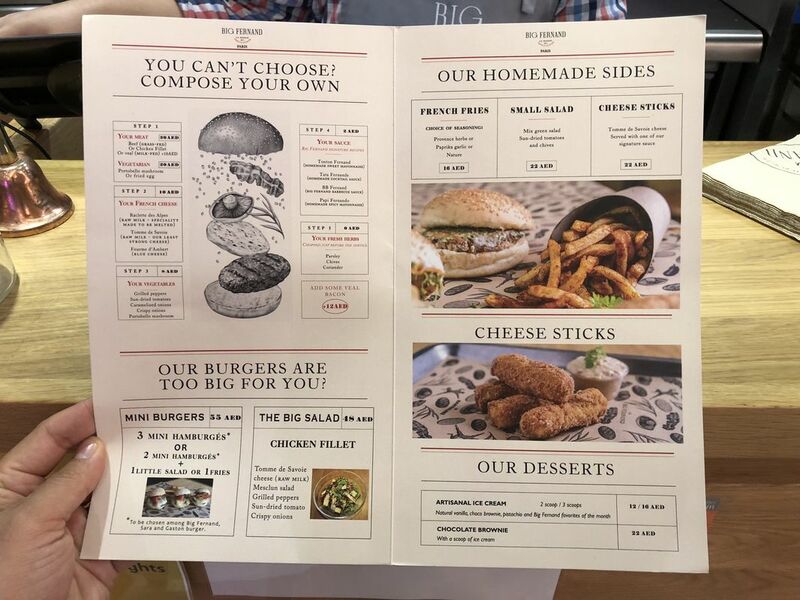 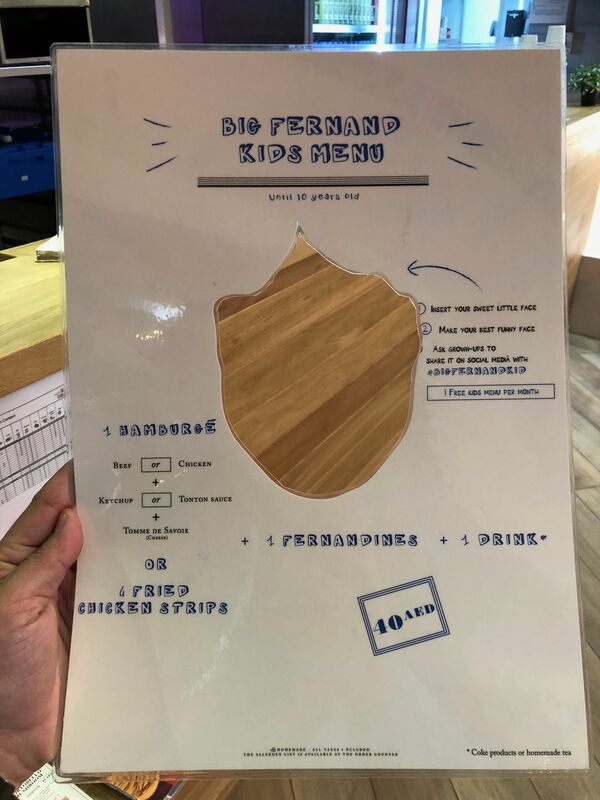 The Big Fernand, The Bartholomé, and Victor are the three beef burgers accompanied by Big Fernand’s french fries and the new cheese sticks -not available in Paris on my last visit. 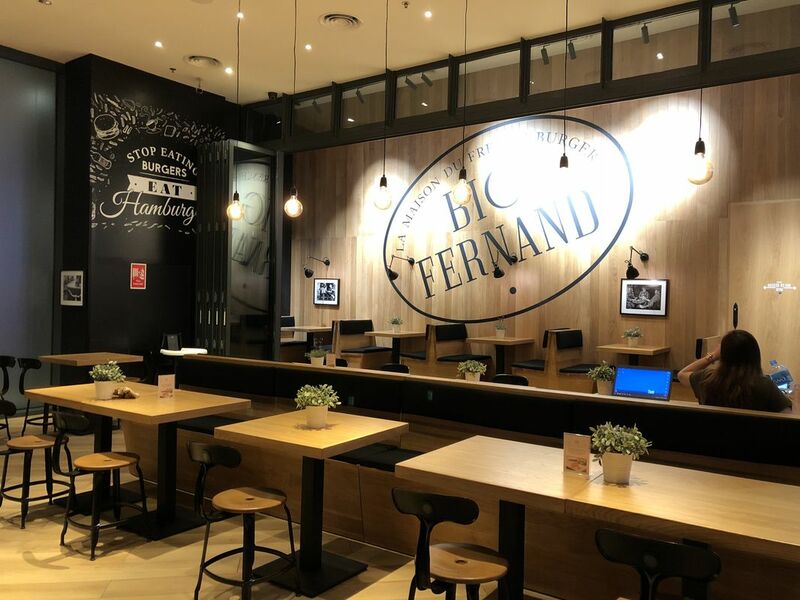 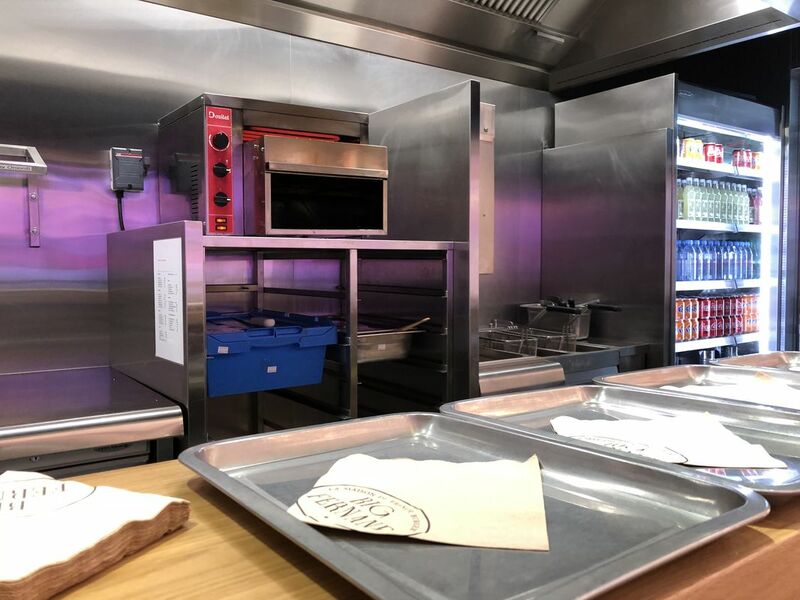 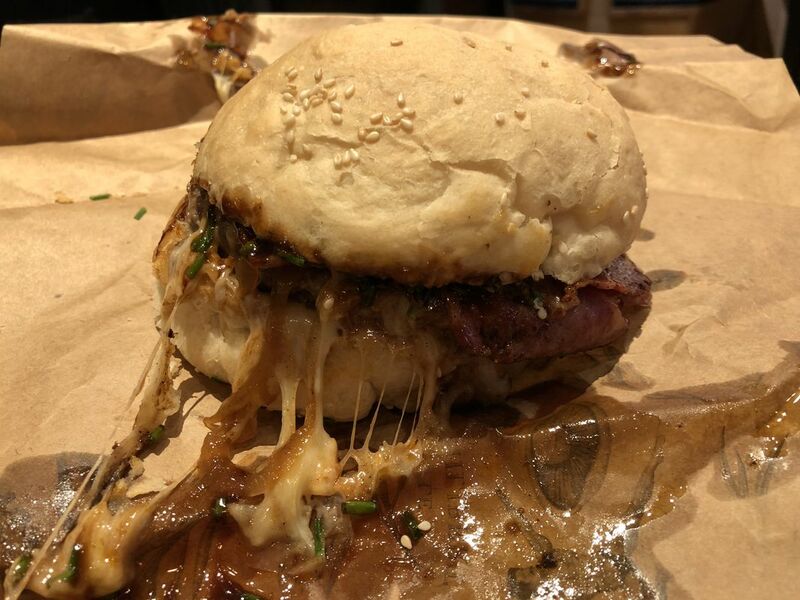 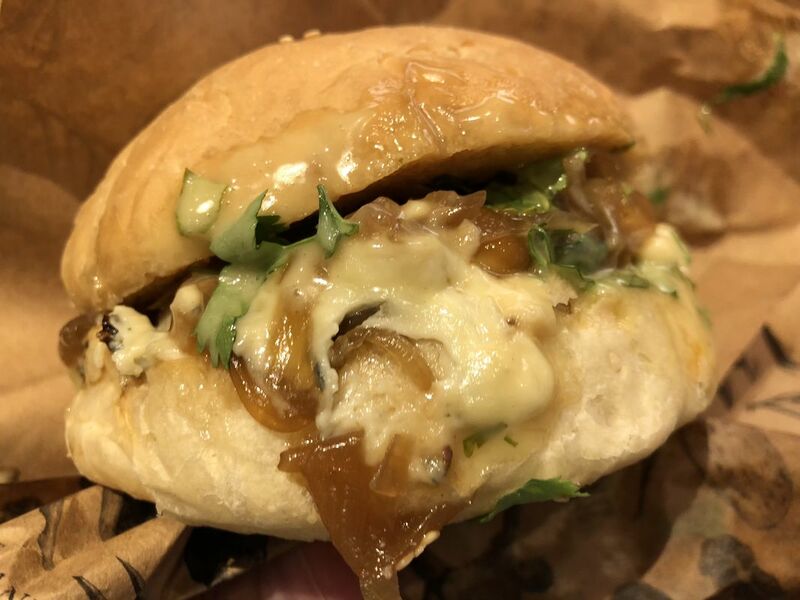 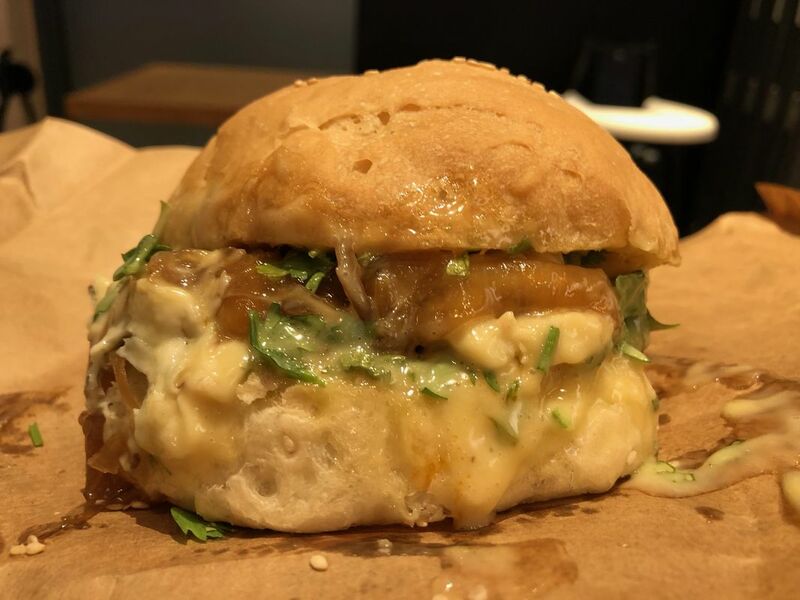 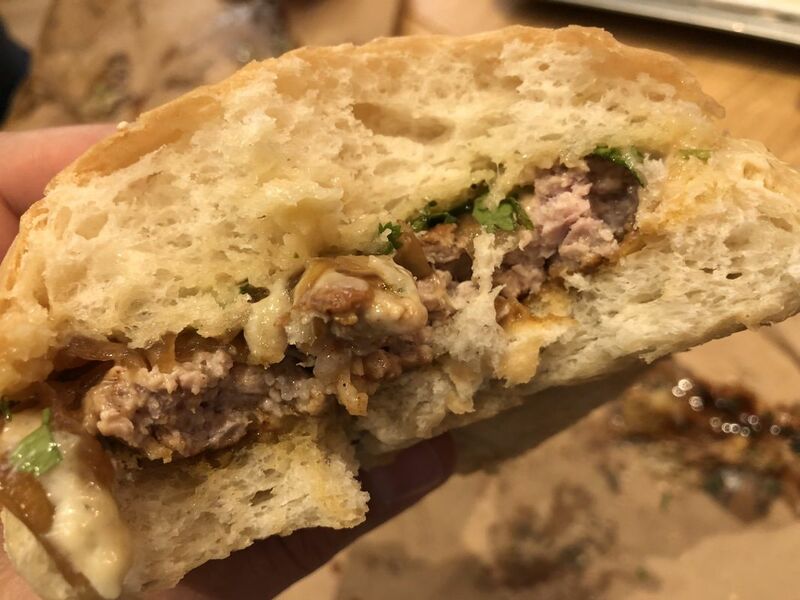 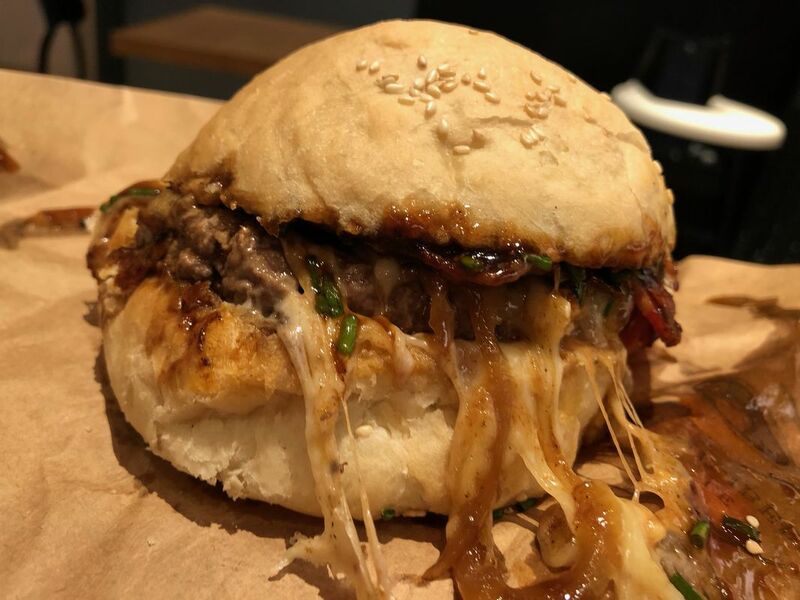 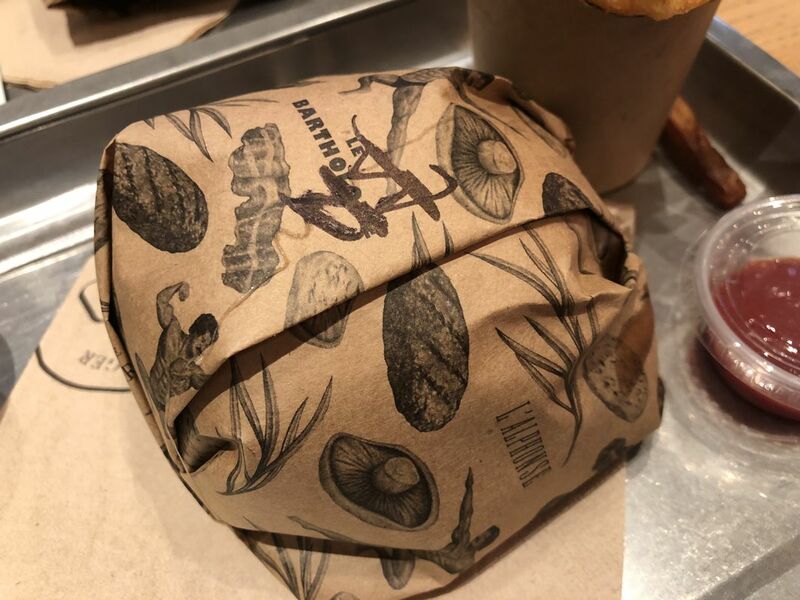 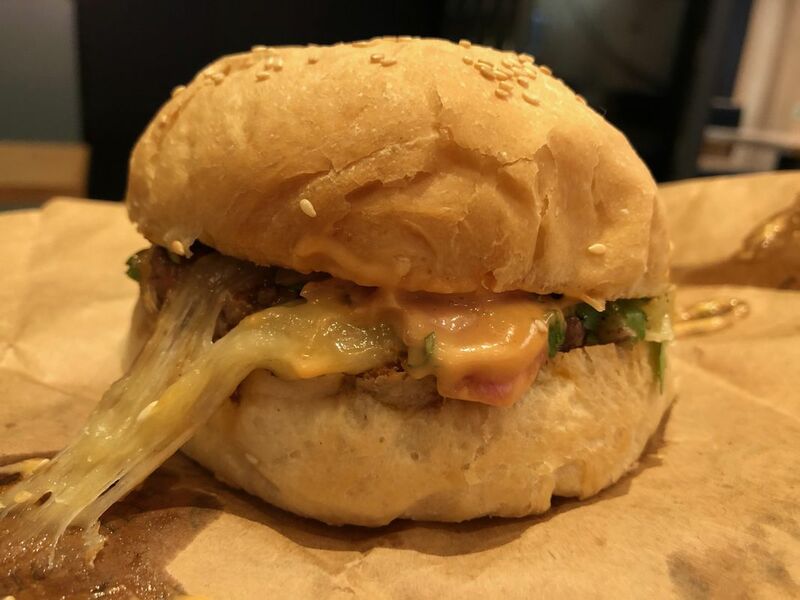 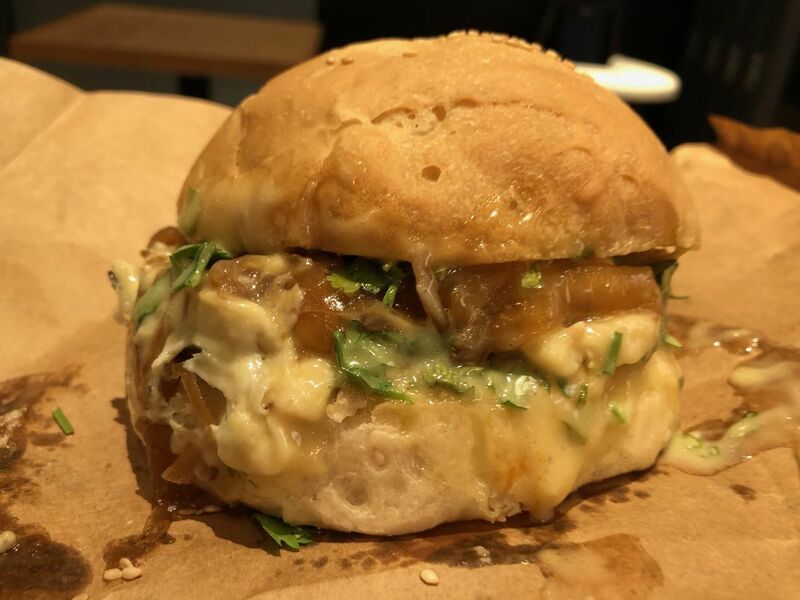 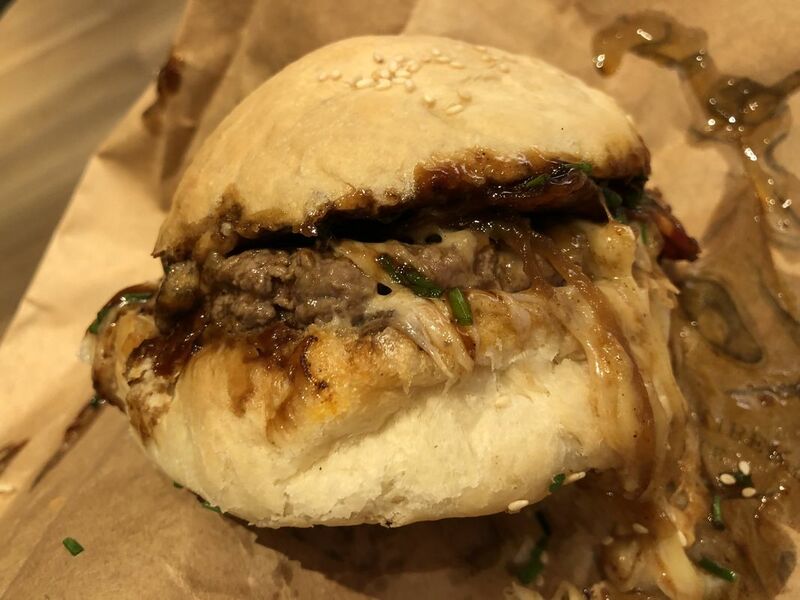 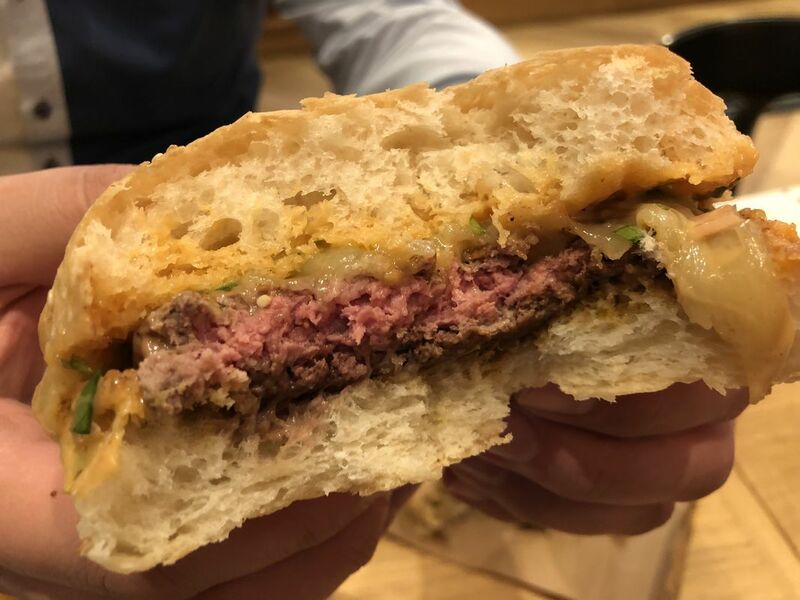 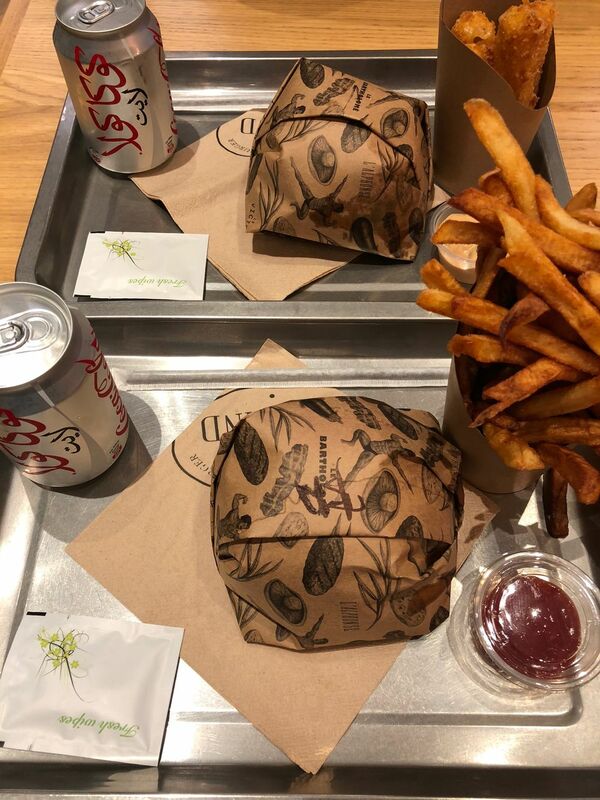 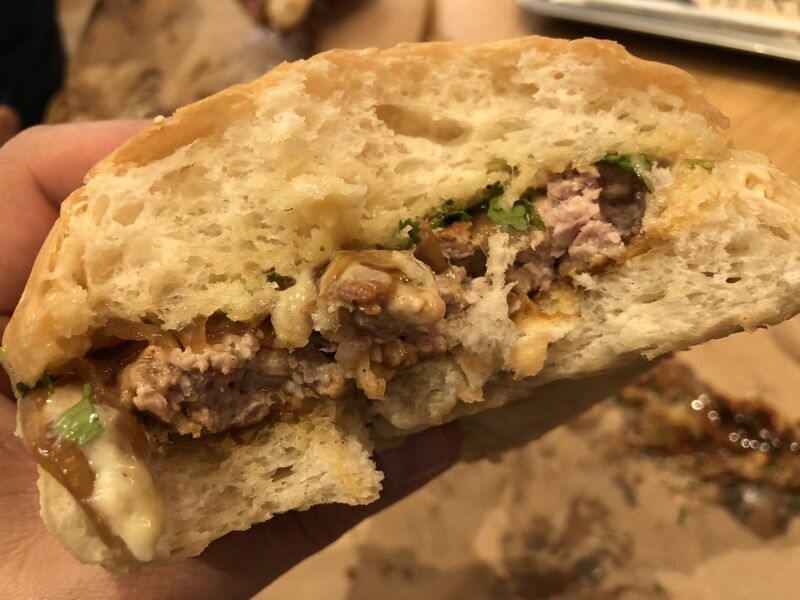 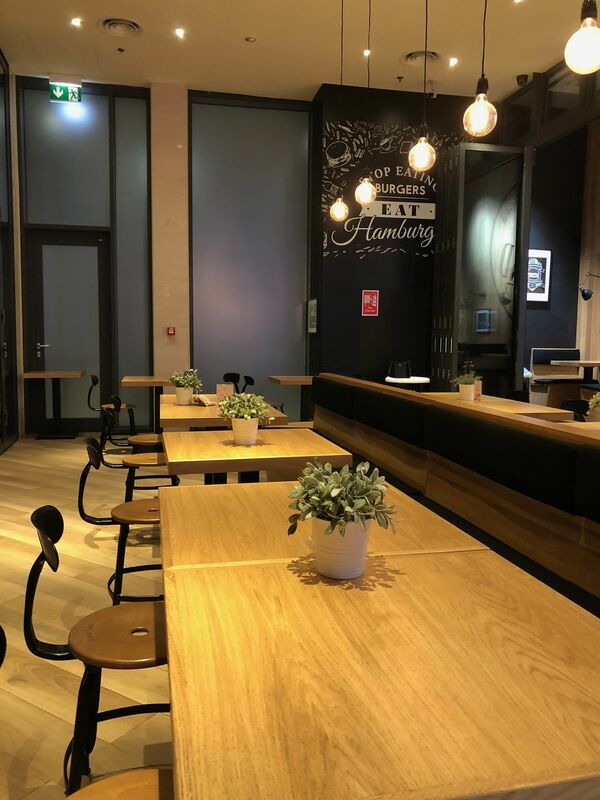 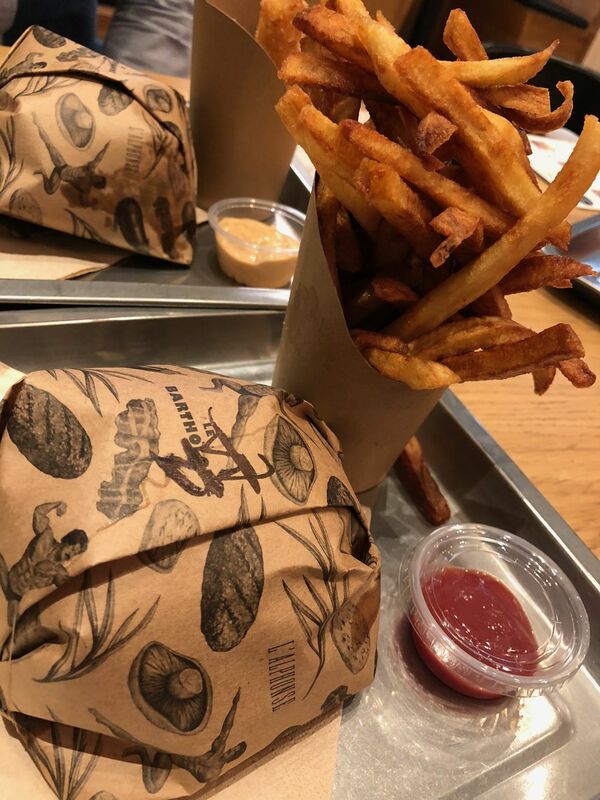 Some call it “L’Atelier du Hamburger,” others consider it to be the “Maison Du Hamburger,” Big Fernand is your burger dream come true... in Paris! 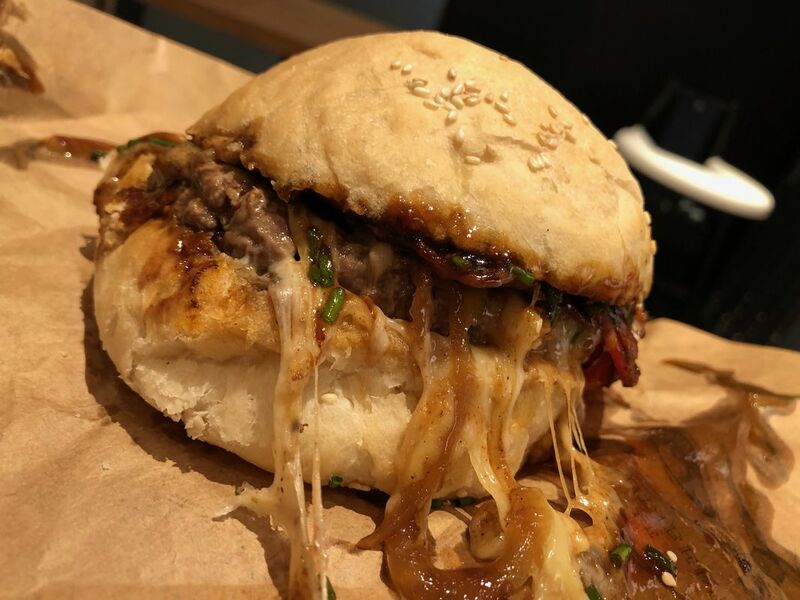 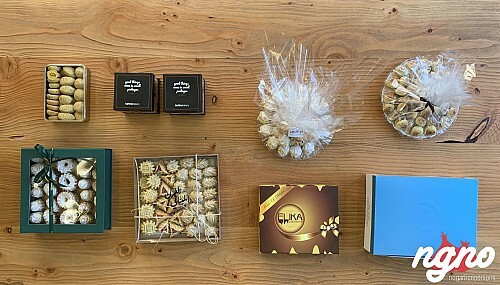 I opened the wrapped paper and started drooling, imagining what’s coming next, I was already dreaming of the tenderness of this amazing combination... until I took it between my fingers and my teeth touched the bread! 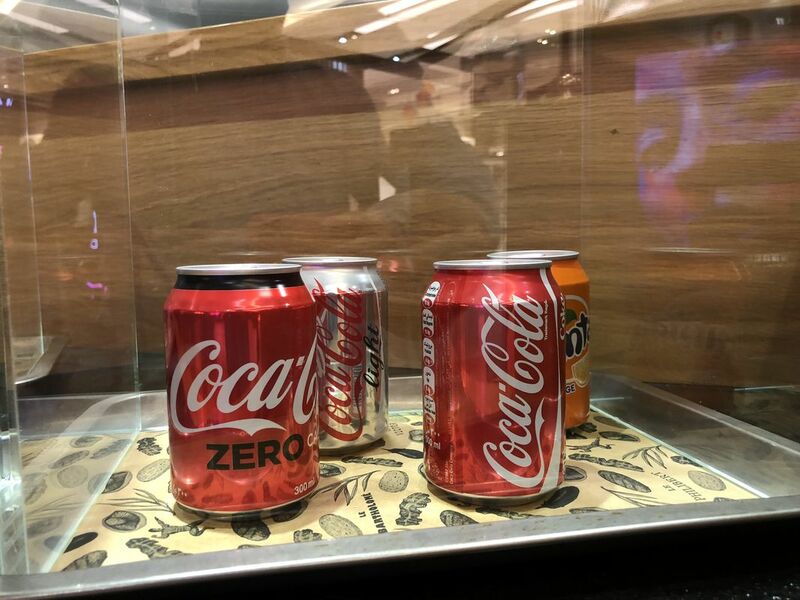 What a deception! 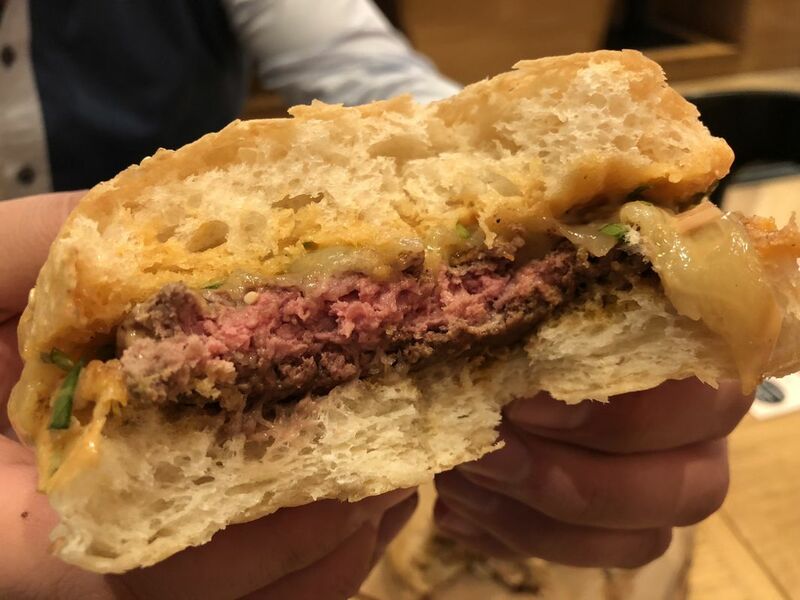 Dubai’s burger has the same filling as the ones in Paris, a good juicy and tender patty made with a beautiful quality of beef, premium ingredients but unfortunately no love! 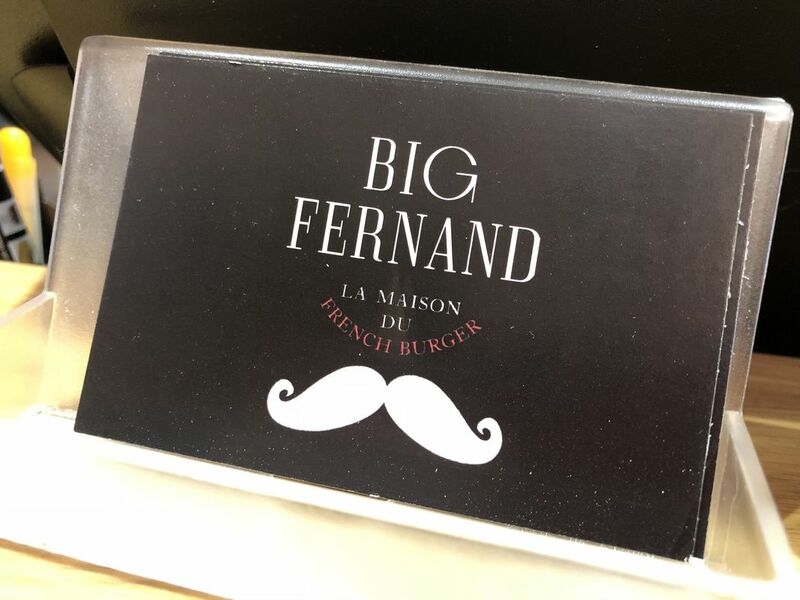 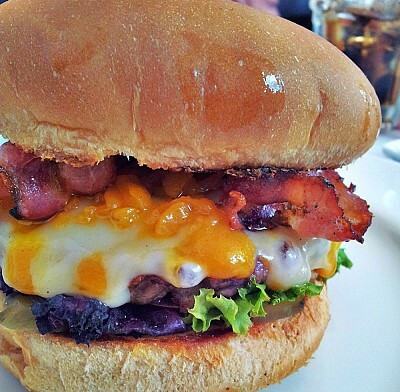 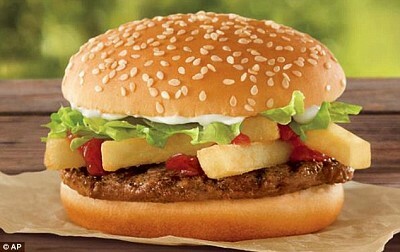 A burger made with no French love whatsoever! 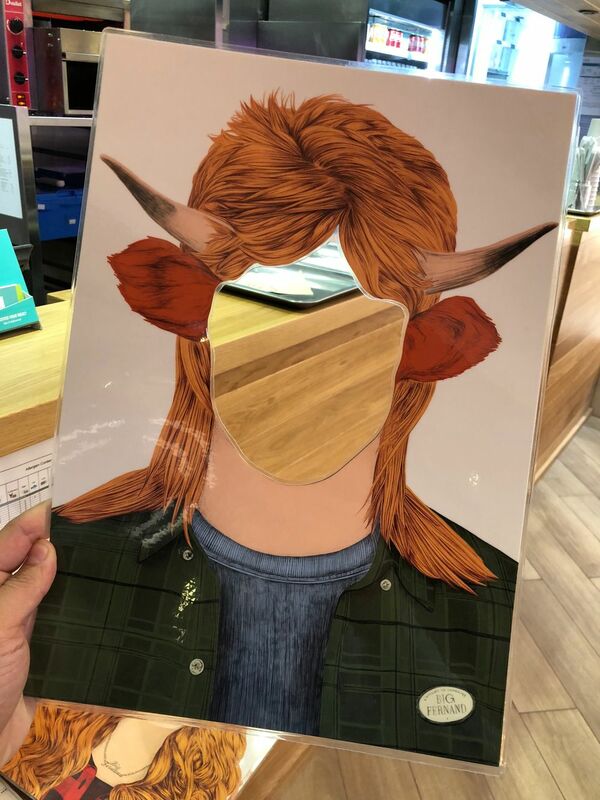 There is no feeling! 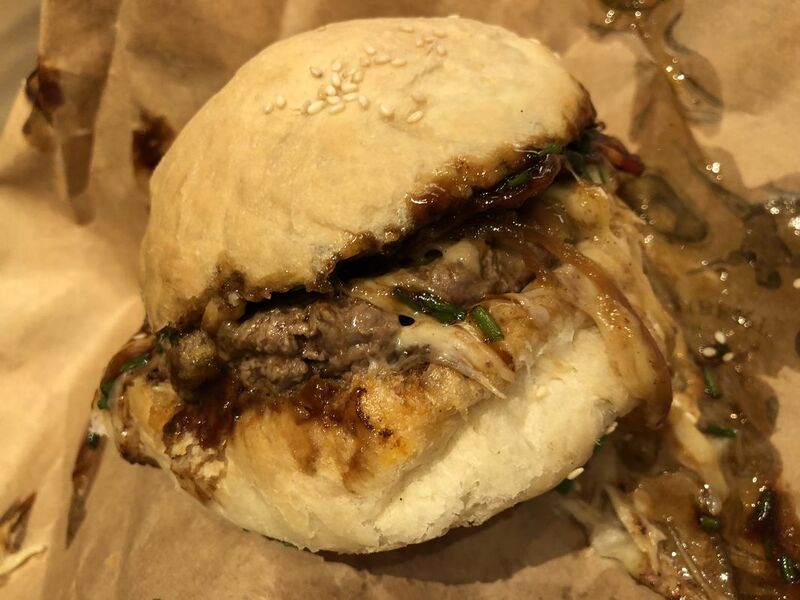 The bread is old, at least two or three days old, dry inside out; the bun feels heavy and hard to bite into. 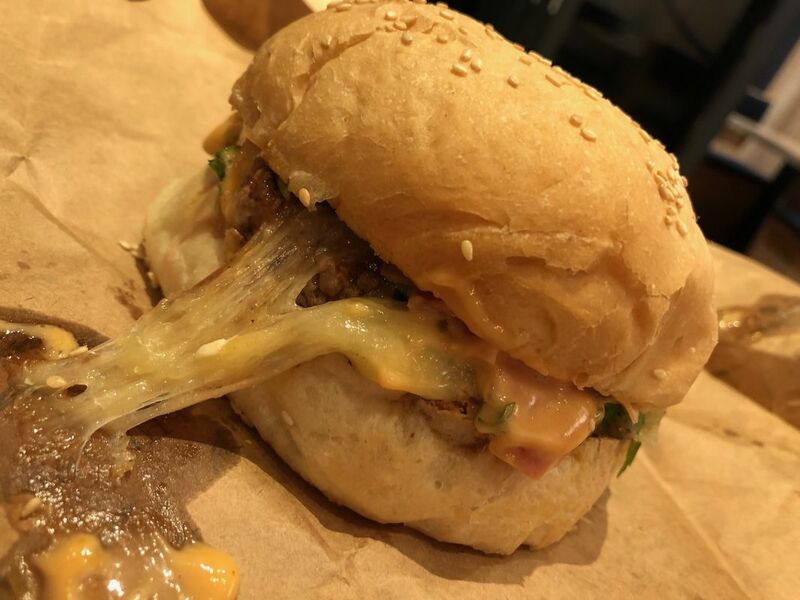 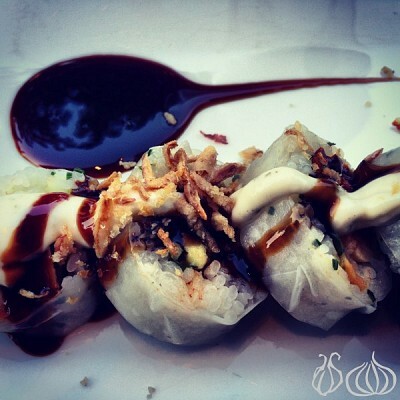 The onions are too big to be even ingested. 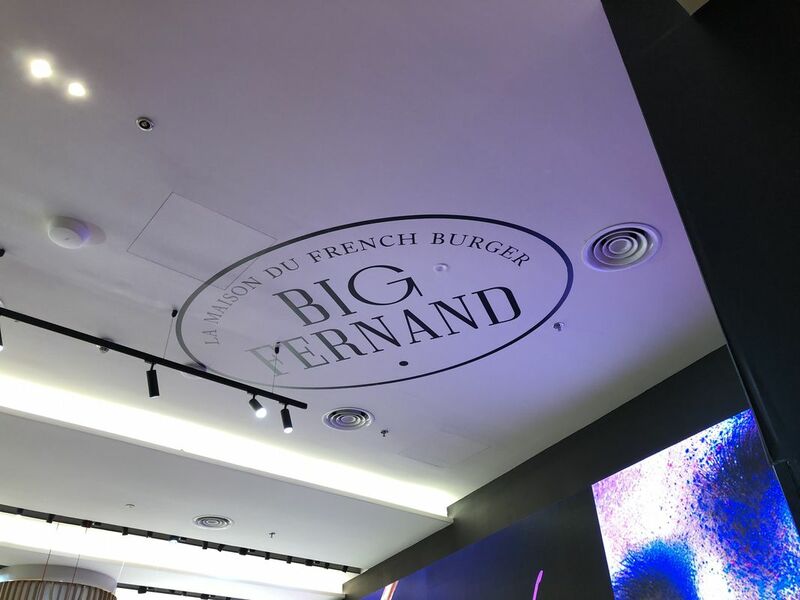 More sauce is needed here and there. 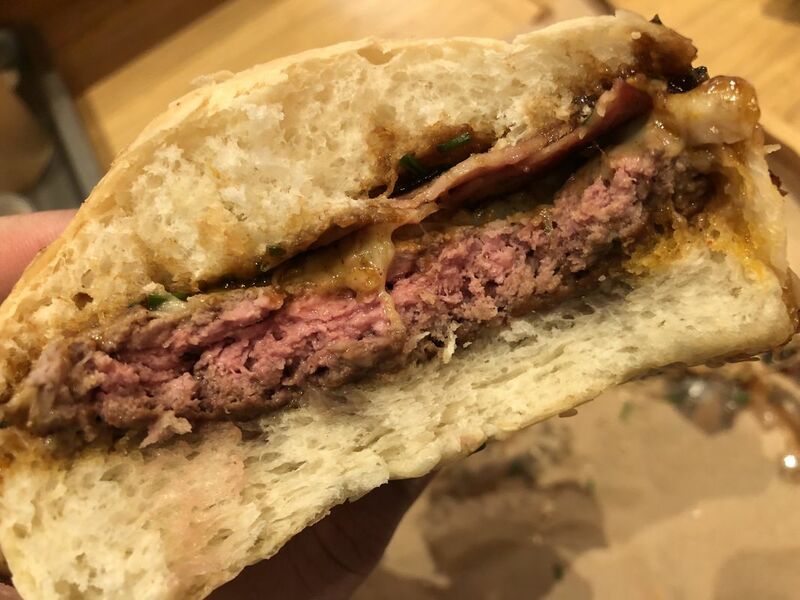 Sundried tomatoes are too big and not homogeneously spread around the burger. 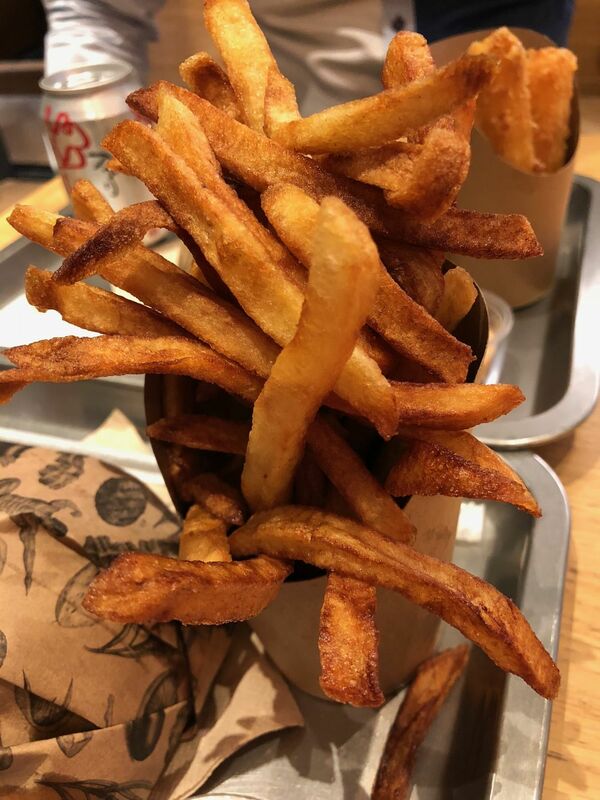 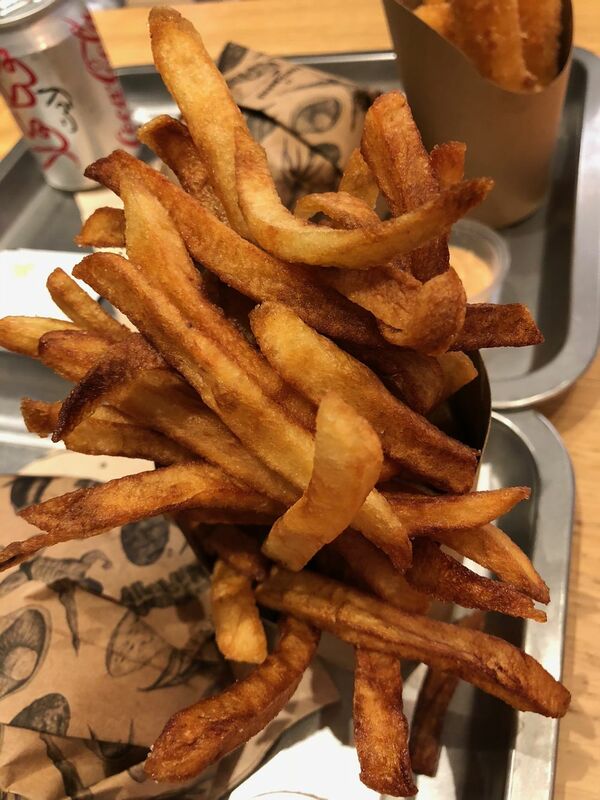 The fries are not crunchy enough, they are oily and served cold. 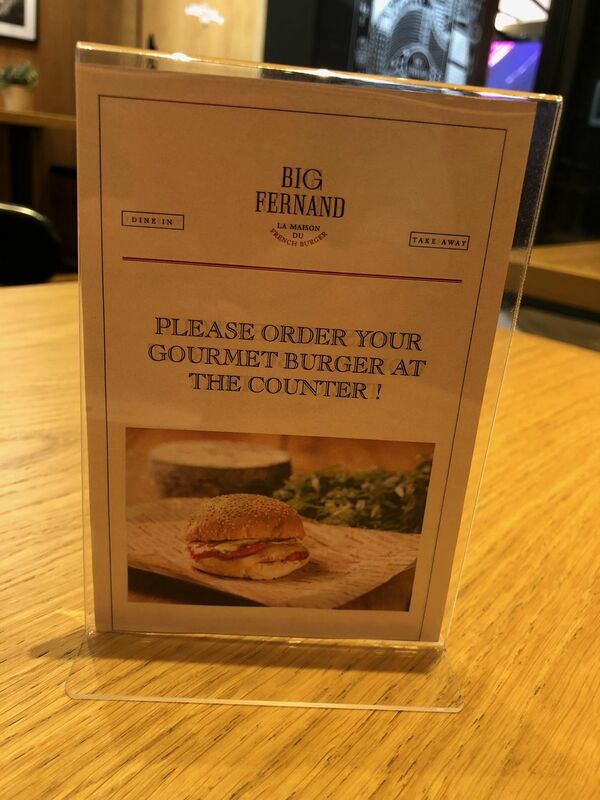 A deception! 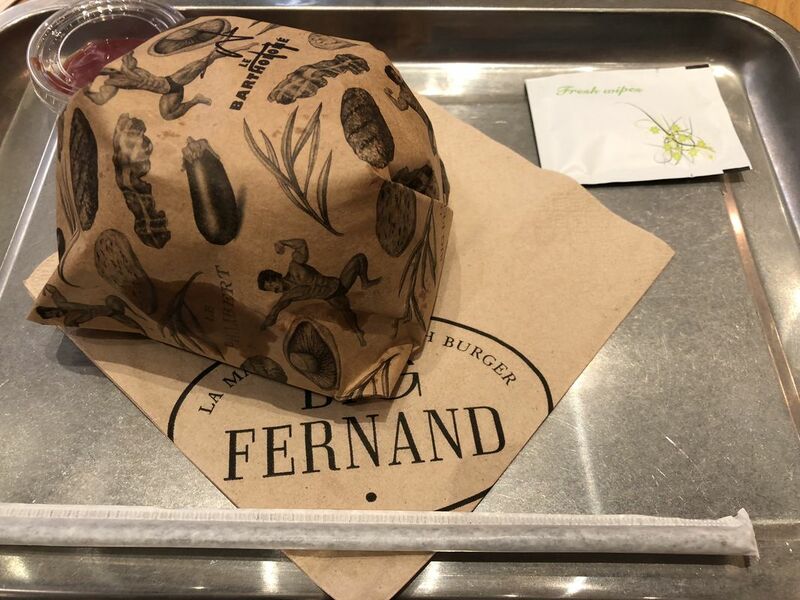 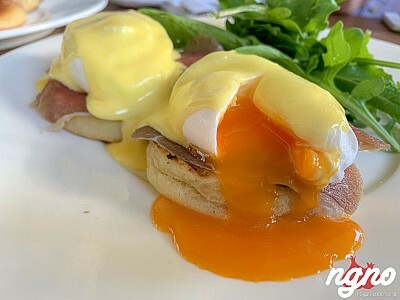 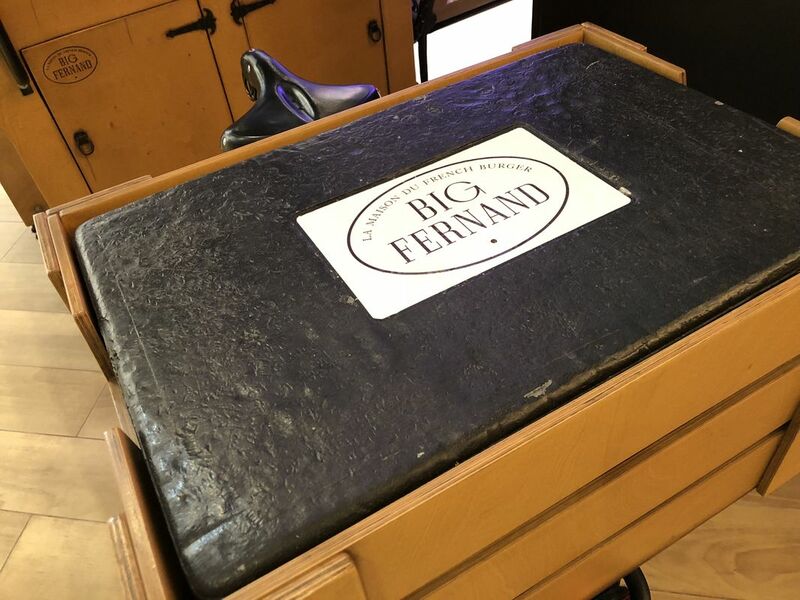 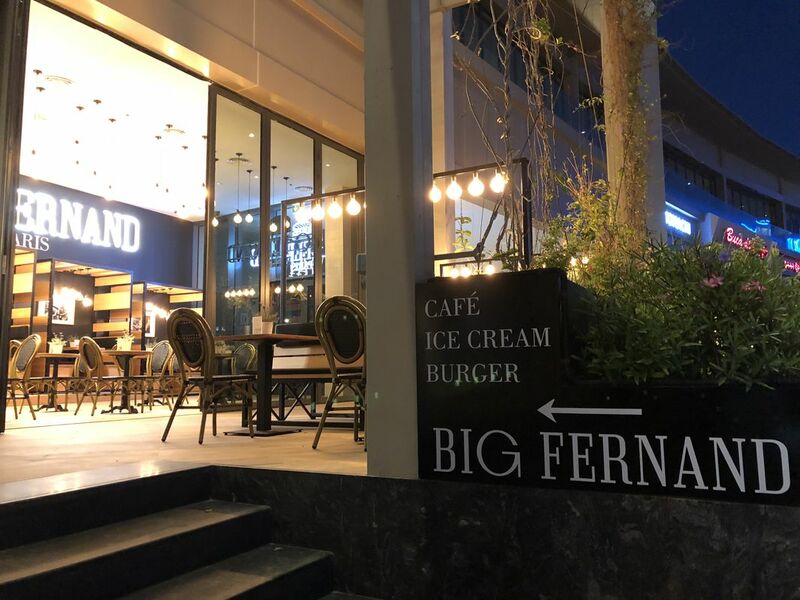 You want to try Big Fernand; head to Paris. 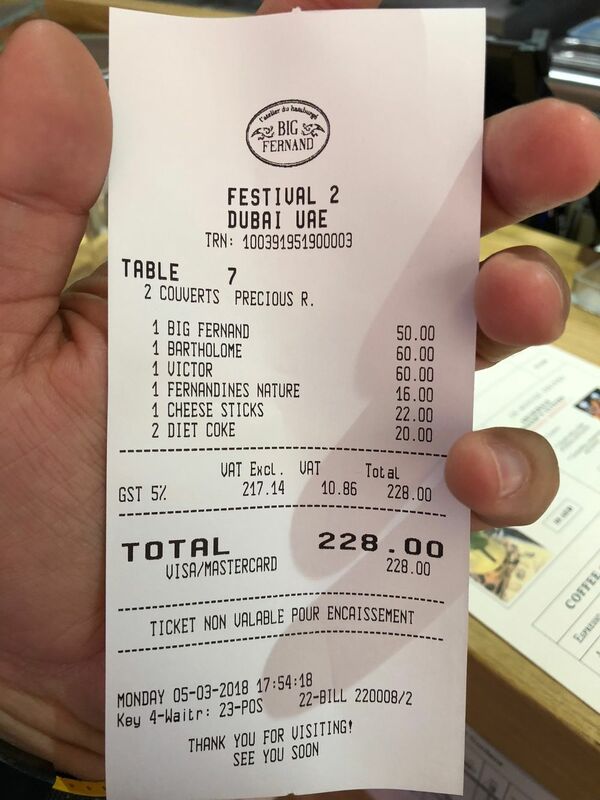 Dubai is not the Experience I always talked about and even dreamt of.